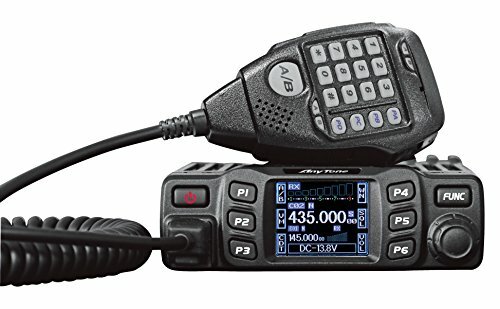 25W/15W/5W DualBand VHF/UHF Mobile Radio Transceiver! Color LCD. 180 degree rotatable TFT LCD display. Frequency Range: VHF:136-174MHz UHF:400-480MHz. Please download the Programming Software from Support in AnyTone website.You can find the AnyTone website address in the User's Manual. Features CTCSS, DCS, 200channels & more! Narrow Band compliant,Lighted Keypad mic, Built-in Speakers in both Radio & Mic,Built-In cooling Fan,DC power cable with fuse holder & More! Single Call, Group Call, Selective Call and Emergency call are all available.